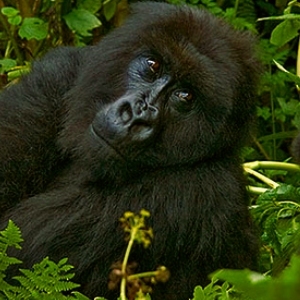 Find below tour options for 3 days Uganda safari tours, focus on gorilla trekking, wildlife safaris and adventure tours. Private transfer to Bwindi the home of the mountain gorillas, spend a night at one of the hotels or lodges, based on your budget. Wake up early morning, after breakfast, trek through the impenetrable forests in search for the mountain gorillas. 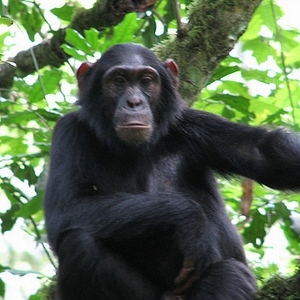 Depart for Kibale National Park 5 hrs drive away and home to an estimated 1000 chimpanzees. This park is most noted for its primates population, it protects a well studied habituated population of Common Chimpanzee, as well as several species of Central African monkey including the red – tailed monkey, chimpanzees, olive baboons, black and white colobus, Uganda Mangabey, and L’Hoest’s Monkey. En route stop in Fort Portal the heartland of the verdant tea-growing area with a great history dating back to the colonial times. Today you will have the opportunity to track chimpanzee that leaves Kanyanchu at 8:00am. The forest walk will expect to take 2 to 3 hrs where you will follow chimpanzees, meet up with them as they go about with their daily activities and watch them for an hour. After lunch, you will do a swamp walk at Bigodi Wetland Sanctuary, which is probably better for general monkey viewing and one of the finest birding trails in the country. Overnight Primates Lodge. Transfer to Entebbe 5 hrs drive and take a boat cruise to Ngamba Island chimpanzee sanctuary 45 minutes ride. At the Island you, will view chimpanzees during the afternoon feeding session from a raised plat form and understand why these are our closest cousins! Return to the main land by speed boat. End of safari. End of 3 Day safari in Uganda. A short flight from Entebbe takes you to Bwindi National Park, home to the endangered Mountain Gorillas. On arrival at the airstrip either (Kayonza or Kisoro – depending where your holding permits for), you will transferred where you will relax and wait on for a hot lunch. After breakfast you will be transferred to the airstrip and if the weather permits you will be chartered to Entebbe.